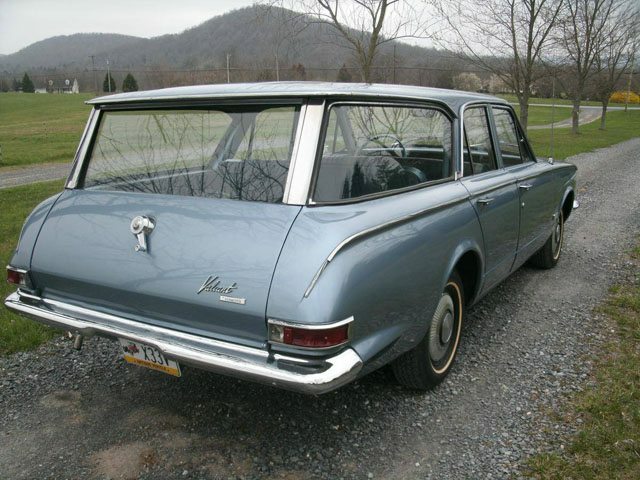 The rise in competition from European imports that were affordable and economical led in part to the Big 3 introducing true compacts in model year 1960. 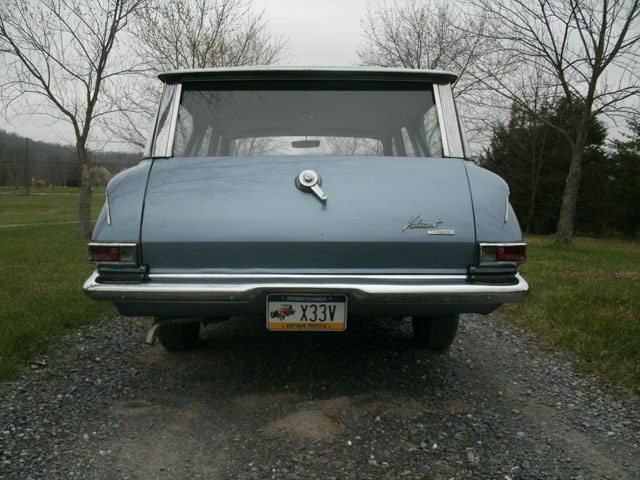 Chevy had the Corvair, Ford the Falcon and Chrysler corporation introduced the Valiant which was supposed to be a brand of its own; in fact, you won’t see any Plymouth badging on a 1960 model nor was Plymouth or Chrysler mentioned in the advertising. Styling was, well controversial. You either loved them or hated them. 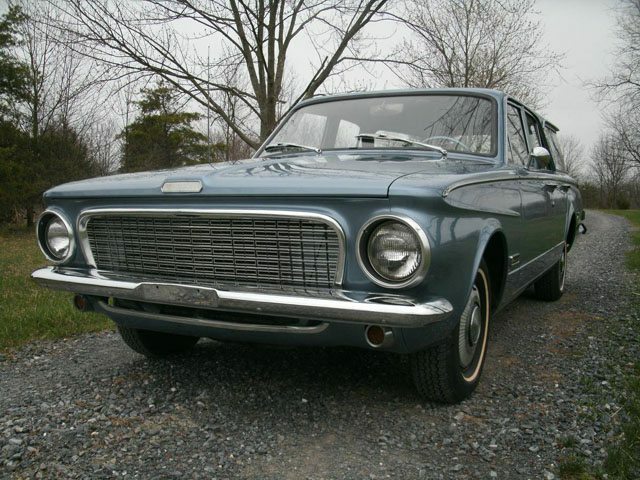 Early Valiants were available with aluminum block engines shaving precious pounds away. By 1963 the aluminum block engines were gone due to reliability issues but the cast iron 225 was here to stay as it proved to be bullet proof. 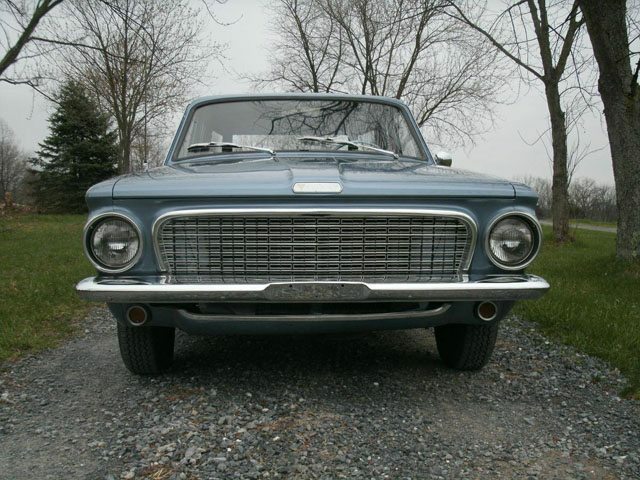 This 1963 Valiant V200 which was the top level wagon, can be found on Hemmings with a negotiable price of $12,500. 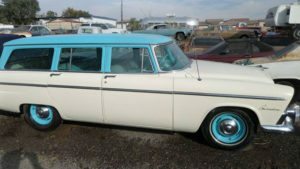 The owner originally purchase the car for his father in law who was looking for a Valiant wagon to restore. 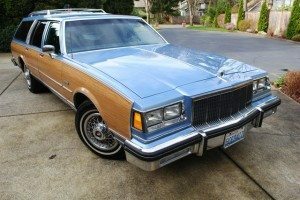 He had the quarter panels replaced, re-chromed the bumpers and had the car repainted. 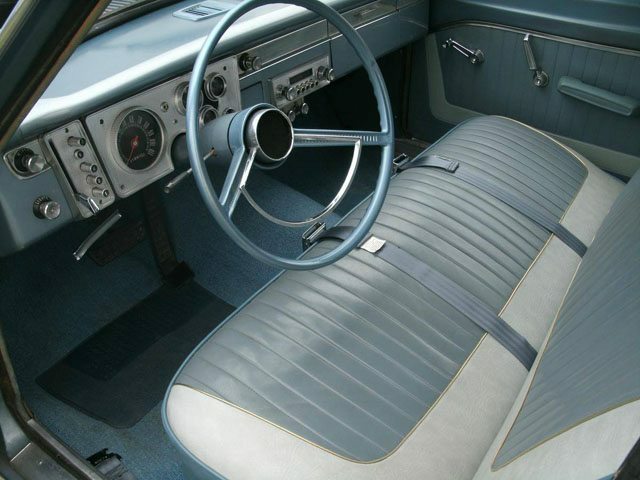 Styling was restrained for the ’63’s. The simple grill and chrome looks fantastic. 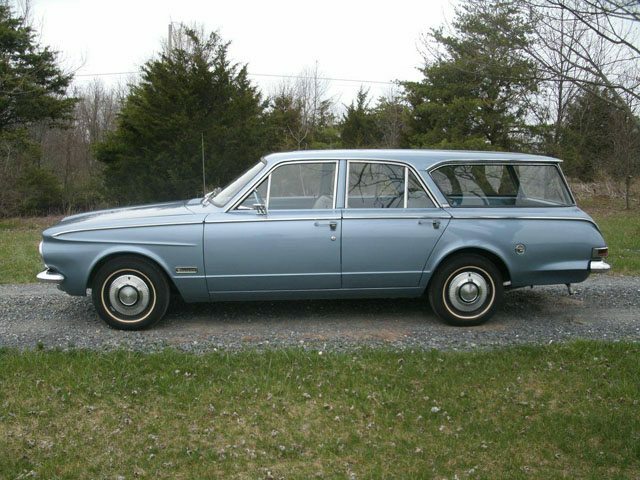 With a recent paint job and some re-chroming this Valiant wagon presents very well! 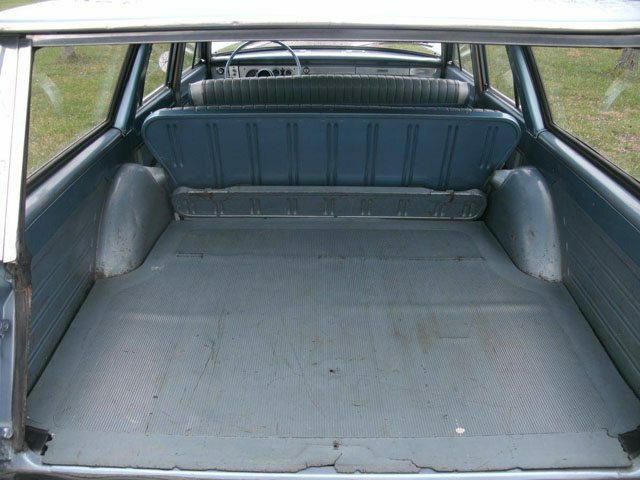 The interior shows very well also with minimal wear on the seats and door panels. It does appear that the center horn emblem is missing. 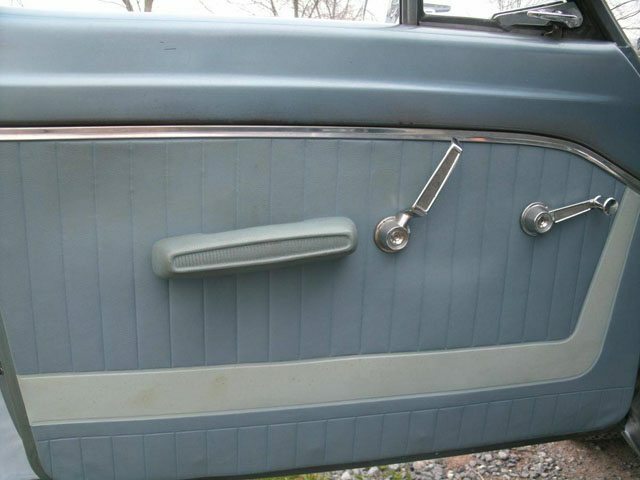 Push button transmission made popular by Chrysler in the late 50’s was waning by 1963 but was still used in the Valiants. The odometer reads just under 42,000 which the seller believes to be correct. 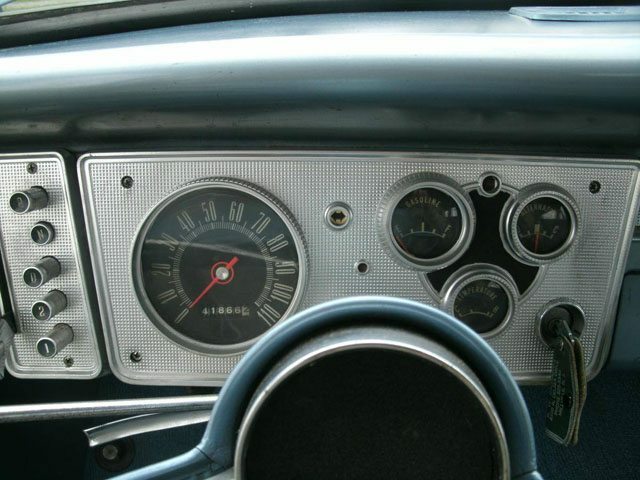 A tune up was all that was needed when the seller first purchased the car. 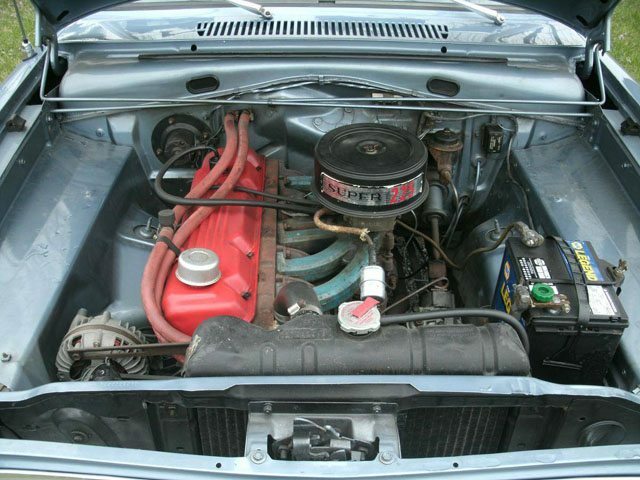 Having owned a Dodge Dart with the same engine I can tell you that these are great engines. With it’s uniqueness and originality I really like this wagon. 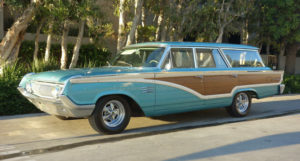 The asking price might be a little optimistic but this would look great in any wagon lovers garage. I love these old wagons some day I will own one!